Battlefield 1, one of the most popular shooting title is set to get its new expansion pack ‘In The Name Of The Tsar’ this September, adding a plenty of content such as maps, armor, weapons and much more. 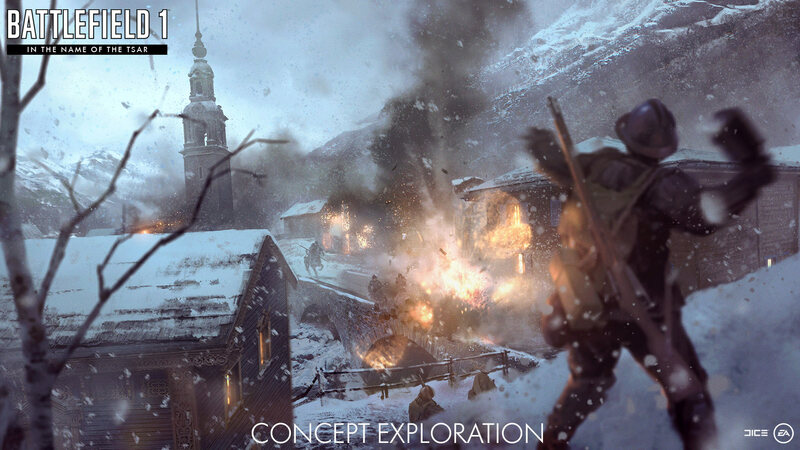 As per the details shared by DICE previously, the expansion pack contains one map named as Lupkow Pass which is set for release next month. The map is already available to the testing community while a gameplay footage of the map was recently revealed by the studio. The map has a snow covered area featuring mountains, ravines based in Carpathian Mountains. Teams will be having their own planes and horses for the battle. The expansion pack will bring additional five maps such as Albion, Galicia, Brusilov Keep. In addition to the maps, a new game mode will be included as well as a new stationery weapon. In this new expansion map you will play as the Russian Army, including the Women’s Battalion of Death, which is the first time in series history that will offer a playable female character. Battlefield 1 is now available for PC, PS4 and Xbox One. Stay tuned for more updates!